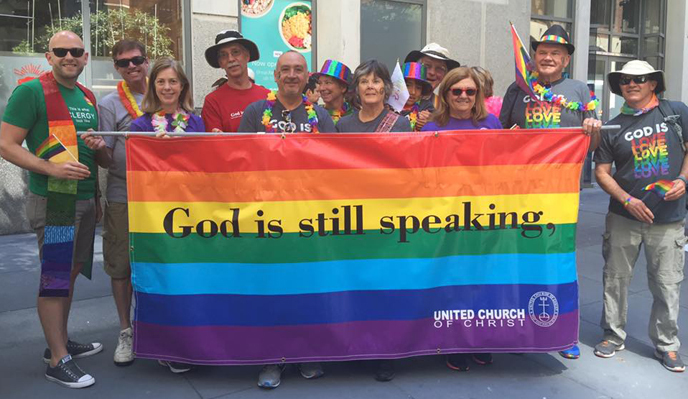 What does “open and affirming” mean at Danville Congregational Church? Danville Congregational Church is a diverse group of believers and seekers of God’s direction in our lives. Our mission is to be a Christian faith community that accepts all persons, supports them in seeking deeper meaning in their lives, and prepares them spiritually and intellectually to make a difference in the lives of their families, community, work, and world. We are called to love our neighbors and to act as agents of reconciliation and wholeness. We welcome and value all God’s people. All people, of diverse race, gender, sexual orientation, family status, economic condition, and physical, mental, and emotional ability are encouraged to participate in the worship, life work, and service of this church. We affirm that all are beloved by God and empowered by the Holy Spirit. We affirm the family in all its diverse forms and we affirm all loving and committed relationships.